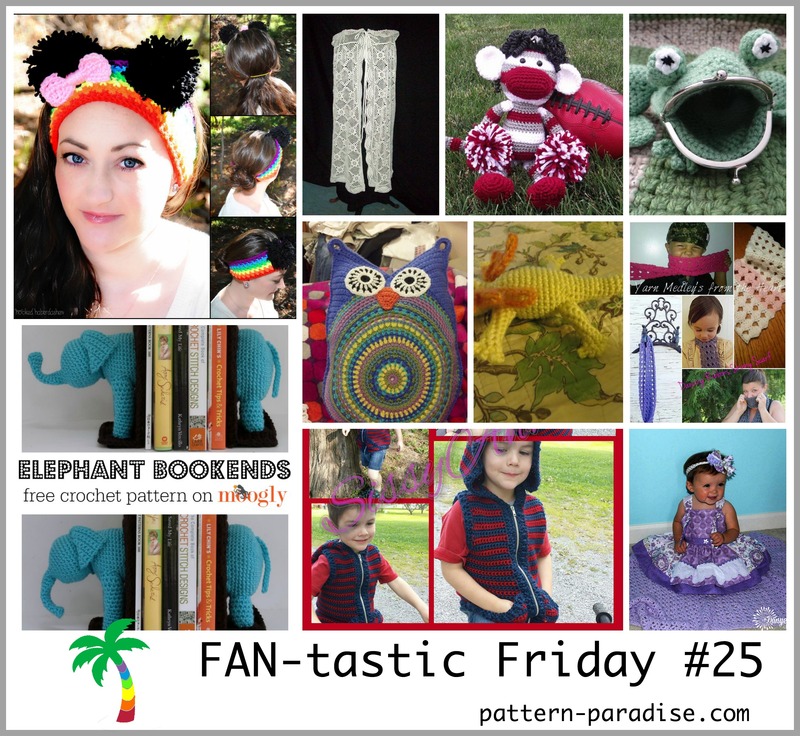 Here are the fabulous projects shared in last week’s FAN-tastic Friday. Keep sharing your fabulous work and don’t forget to load your Link Up Button (instructions at the bottom of the page)! Join us each Friday to share your own work! 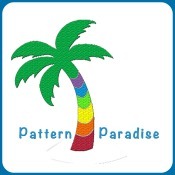 Send me your project pictures (and if you like, a little story) in email at ThePatternParadise@gmail.com or post to my Facebook page! The #1 viewed project this week was this super cute Teddy Bear basket by Carolina from One and Two Company. You can find the pattern here. The #2 viewed project this week was the Swing Dress/Tunic by Janaya from Charmed by Ewe. You can find the pattern here. #3 are these adorable creatures created by Forever Stichin. You can find the pattern here. Click here to add to your favorites and queue on Ravelry! Find the pattern in my Ravelry shop at the special sale price through Friday, August 15th (midnight eastern time). Crochet Scavenger Hunt Game & Giveaway! 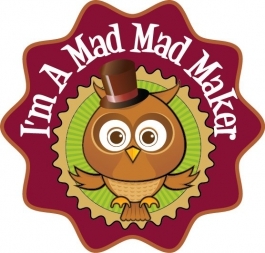 The game is the Crochet Scavenger Hunt hosted by MNE Crafts! 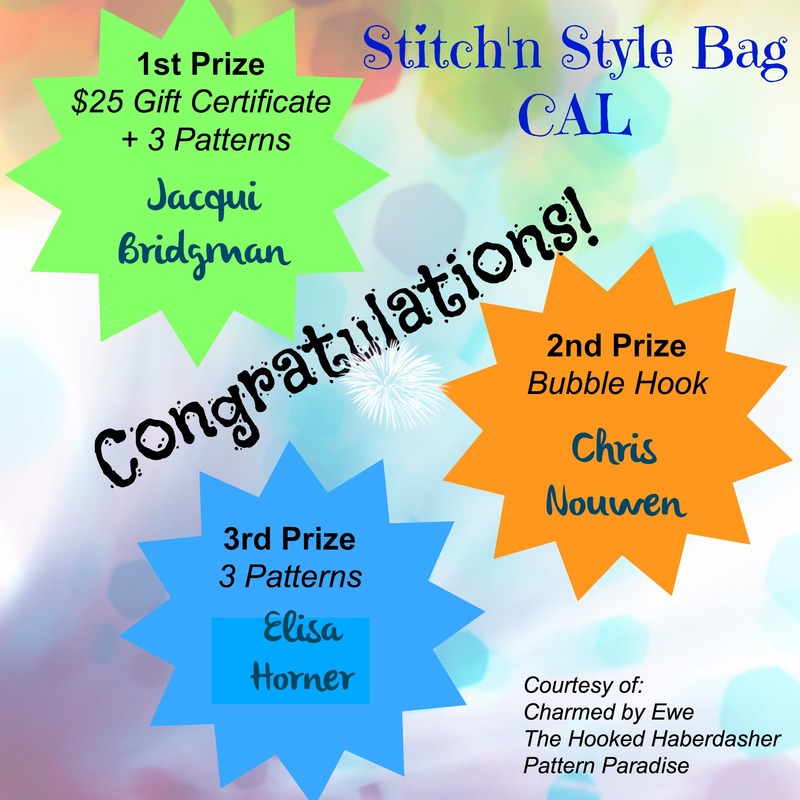 There are lots of prizes to be obtained – for all the details and to meet the designers and vendors participating in the Crochet Scavenger Hunt, head on over to the first post! 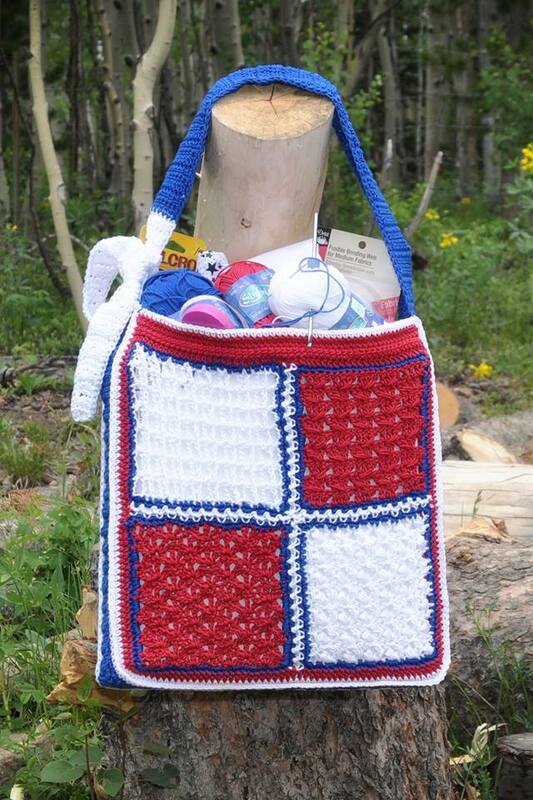 But now wait for it … there are Crochet Scavenger Hunt mini-pregames with GREAT prizes! 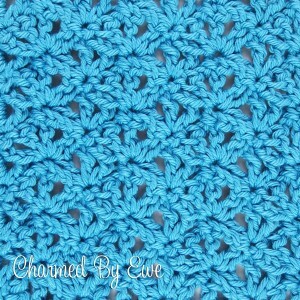 There is a clue hidden in today’s post for today’s Crochet Scavenger Hunt mini-pregame = the treasure hunt! Find the first clue and you’ll be on the hunt to gather ye treasures! 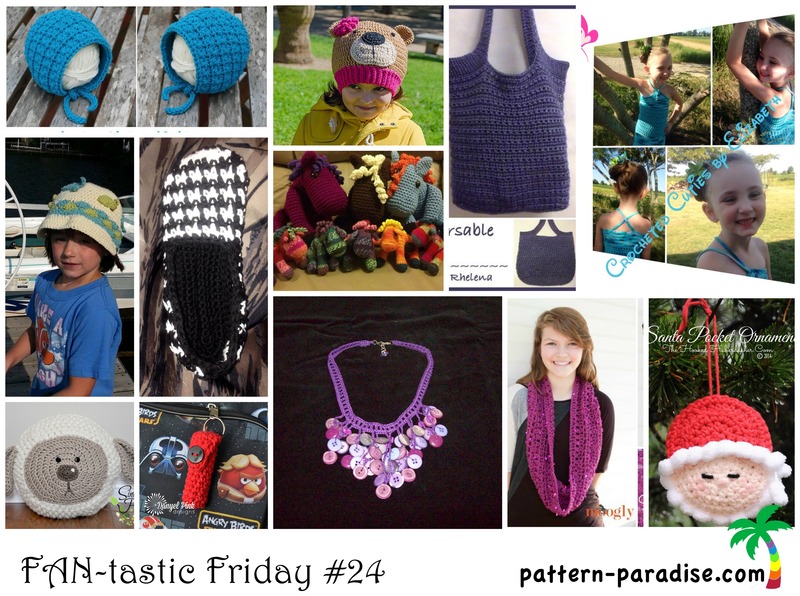 Here are the fabulous projects shared in last week’s FAN-tastic Friday. Keep sharing your fabulous work and don’t forget to load you Link Up Button (instructions at the bottom of the page)! Don’t forget to join us each Friday to share your own work! Send me your project pictures (and if you like, a little story) in email at ThePatternParadise@gmail.com or post to my Facebook page! 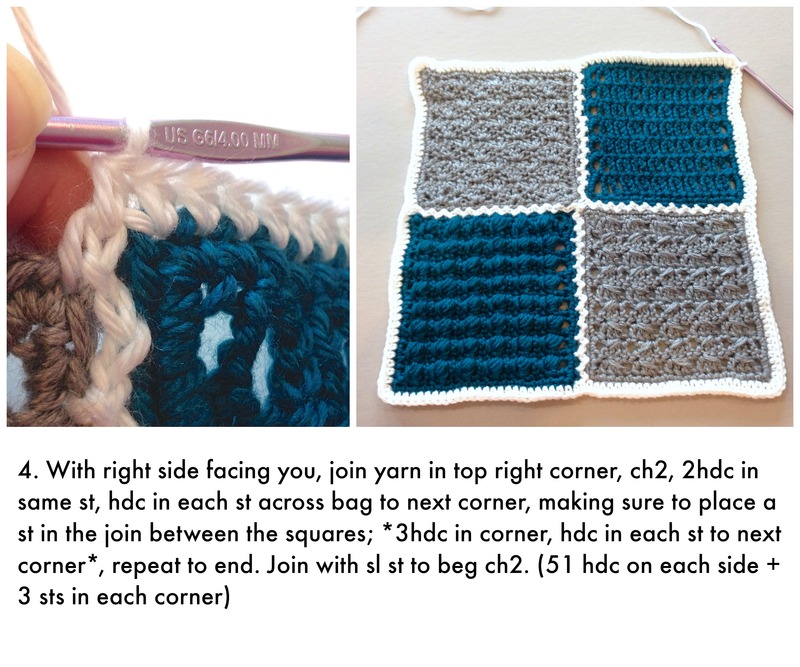 The #1 viewed project this week was this lovely dishcloth by Shannon from The Hookeraholic Crochet. You can find the pattern here. The #2 viewed project this week was the super cute Teddy Bear hat by Carolina from One and Two Company. You can find the pattern here. #3 is the funky Pop of Pink Vertical Stripe Chevron bag by Lorene from Cre8tion Crochet. You can find the pattern here. 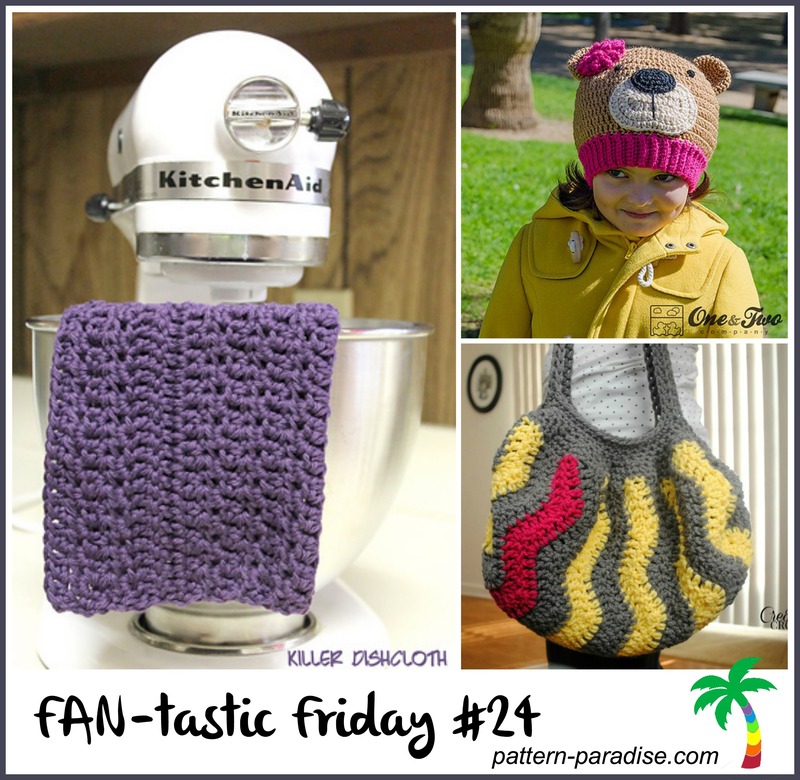 FREE Crochet Pattern – Splish Splash! The August Chameleon Hat, Splish Splash, finds itself at the beach. The brim has been transformed into a visor and it sports some fun sea creatures too! Click here to add this pattern to your favorites & queue on Ravelry. This month’s Chameleon Hat is a celebration of summer and the beach. I modified the brim into a visor, to keep sun out of sensitive eyes and for a little fun I turned to Moogly for a nice collection of sea creature appliques. I added a starfish, jellyfish, coral and even a little crab that is trying to climb on board! Or, keep it simple with a flip-flop and starfish. Of course, you can embellish it any way you like or leave it plain too! Here are all the past versions of the Chameleon Hat. Instructions below are for Newborn – 3 month size. For other sizes, please download full pattern at bottom of this page. I used three main colors for the hat and then scraps for the appliques. Join each round with sl st. Work instructions in [ ] as a set. Rnd 2: Join Color 3, ch3 (counts as dc), [sc in center of next Shell, Shell in next sc] repeat around, ending with 4 dc in beg st, join to top of beg ch3, sl st into next sc. Rnd 3: With Color 2, repeat Rnd 2. Rnd 4: Ch2 (counts as hdc), [hdc in next st, sc next 3 sts, hdc next 3 sts] around to end (last repeat ends with hdc), join. Fasten off. Row 1: With the right side of the hat facing you, locate the front 15 sts of the hat and join your yarn in the first one, ch1, sc in same st, [2hdc in next st, hdc in next st] 6 times, 2hdc in next st, sc in next st, sl st in next 2 sts, turn. Row 2: skip first sl st, 2sc in next sl st, 2hdc in next st, hdc in each st to last 2, 2hdc in next st, 2sc in next st, sl st in next 2, turn. Row 3: skip first sl st, sc next 2 st, 2sc in next 2 st, sc in each st to last 4 sts, 2sc in each of the next 2 st, sc last 2 st, sl st in next st and continue to sl st in each st around hat, across visor (where it connects to the hat). Join with sl st to beg sl st. Fasten off. Rnd 1: With First Color, ch10, 3sc in 2nd ch from hook, sc in next 3 sts, hdc in next 2 sts, dc in next 2 sts, 7 dc in last st; working around other side of beg ch, dc in next 2 sts, hdc in next 2 sts, sc in last 3 sts, join. Rnd 2: Ch1, 2sc in same st and 2sc in each of the next 2 sts, sc next 8 sts, 2sc in each of next 5 sts, sc next 8sts. Join. Fasten off. With Second Color sl st in back loop only of Rnd 2. To make straps at toes, with Third Color, join around 7th st to the right of center toe top, ch5, sl st around center st of Rnd 2, ch5, join around 7th st to the left of center toe. Sew in place on hat. 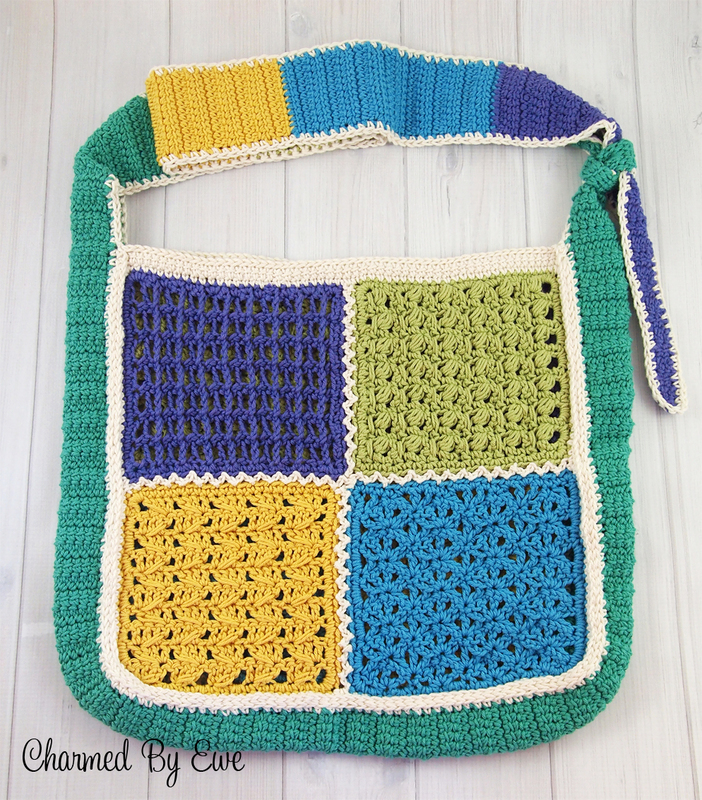 FREE Crochet Pattern ~ Stitch’n Style Handbag Reveal! A good attitude and fun spirit! a. Asterisks indicate to repeat stitches within the ** as instructed. b. Parentheses () at the end of a round = total sts for that round. 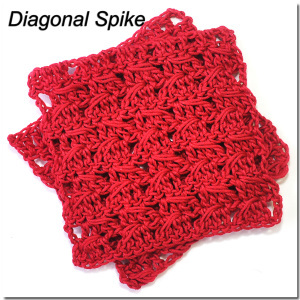 Spike double crochet (Sdc) = YO, insert hook into same space that first dc of previous 3 dc block was worked, YO, draw loop through long and even with working row so as not to crush 3 dc block, *YO, draw through 2 loops* twice. For a visual reference, find the video tutorial here. R1: Ch 23 with moderate tension (rather loosely). For a visual reference, find the video tutorial here. R1: Ch 30 with moderate tension (rather loosely). R4 – R12: Repeat R2 & R3, ending with a repeat of R2. DO NOT FASTEN OFF – skip to SC Border for Joining Squares. 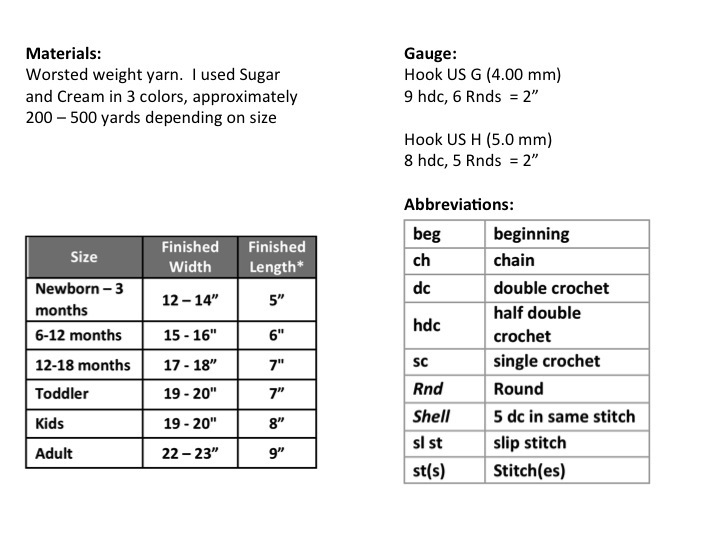 PUFF St: *YO, insert hook in st, YO and pull loop through* 4 times (you will have 9 loops on hook), YO and pull through all 9 loops, ch1 to lock st.
Long double crochet (Ldc): work dc in st of previous row stretching to height of current row. R4 – 16: Repeat Rows 2 & 3 ending with a repeat of Row 2. DO NOT FASTEN OFF – skip to SC Border for Joining Squares. Ch1, *work 22 sc evenly to st before corner, 3sc in corner st*, 4 times. Join with sl st to beg sc. Fasten off. 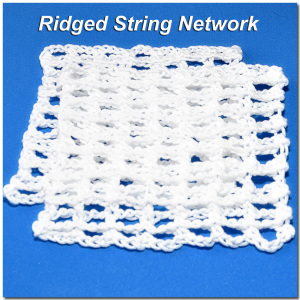 Tip: To assist in placing the 22 stitches evenly across the square, divide the square edge into 4 sections and figure out how many stitches you’d need to have in each section to make it even – I did 5 in the first section, 6 in the next 2 sections and 5 in the final section. Final Round: Ch1, turn (working from right side), 3sc in same st (corner), sc each st to next corner, *3sc in corner, sc in each st to next corner*, repeat to end. Join with sl st to beg sc, work a sl st across each st of top to reinforce bag opening. Fasten off. Note: Be sure to have same number of stitches on top and bottom and left and right sides. 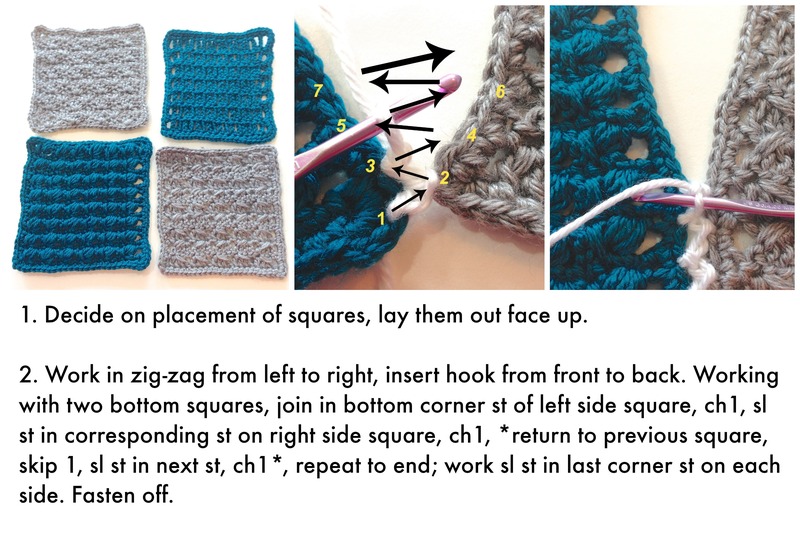 Linked Double Crochet Turning Stitch: To begin a row with LKDC start by chaining 3, pull up a loop in the 2nd chain from hook, pull up a loop in the first st of the row, YO and pull through 2 loops, YO and pull through 2 remaining loops on hook (first LKDC made). Linked DC (LKDC): Pull up a loop in the horizontal bar at the front middle of the previous stitch, pull up a loop in the next st, yarn over and pull through 2 loops, yarn over and pull through 2 remaining loops on hook. Linked DC Decrease: Pull up a loop in the horizontal bar at the front middle of the previous stitch, pull up a loop in next st, yarn over and pull through 2 loops, but do not complete the st, pull up a loop in next st, yarn over and pull through 2 loops, yarn over and pull through all remaining loops on hook. At this point, the strap should measure approximately 71“ from end to end. 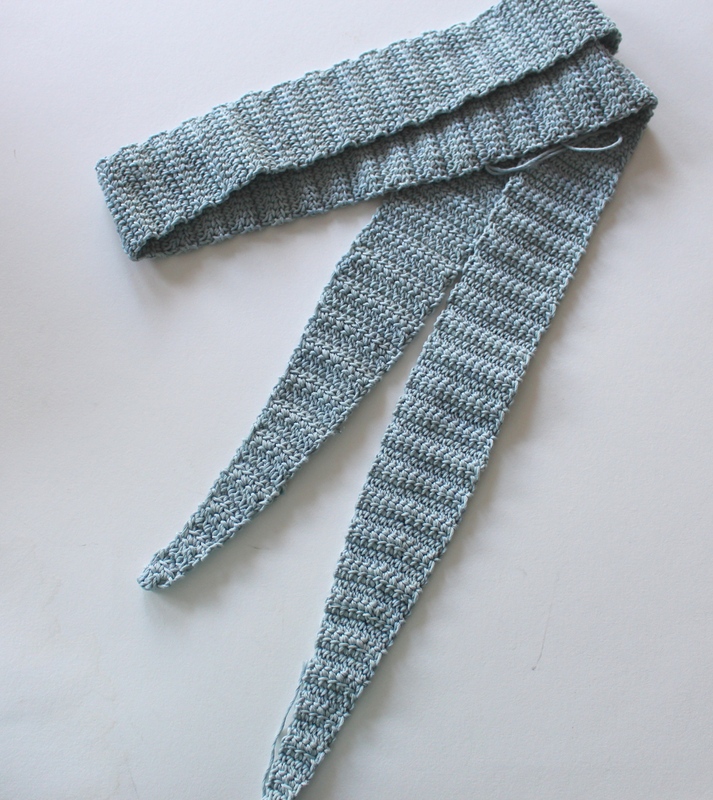 If you want a longer or shorter strap, adjust the number of Rows before continuing. SC Border: Ch 1, work SC stitches evenly around the entire strap. Join with sl st to beg SC. Fasten off. Decide where you want the handles to tie (top center, one of the sides). Mark the gusset and the bag side. Line up the stitches on both pieces all the way around to the top of the bag. With the gusset facing you, join yarn and sl st through both thicknesses down the side, across the bottom and up the opposite side to join the gusset to the bag. Fasten off. Take the tapered ends of the straps and tie in a knot. With a small piece of yarn and tapestry needle, sew through the knot to secure it.